The CinDay Academy is a private, independent pre-12th grade school in Dayton, Ohio, offering all students individualized learning plans based on cutting-edge brain science research. Coached by a team of devoted teachers, professional mentors and advisors, CinDay Academy students develop their unique talents and interest toward personalized goals. 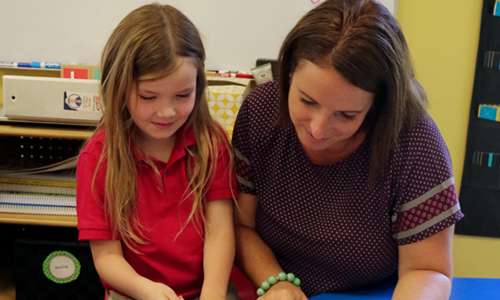 15 years experience in individualized education tailored to each individual student. The learning individualization at this school is amazing. Students are assessed in each subject and get customized learning for that subject. They also loop grade levels which helps not only with leadership development, but also helps to eliminate stigma around students learning at different levels and paces - it's just a natural occurrence in the classroom setting. Our principles based are on the most up-to-date pediatric neuroscience findings. It was clear that this was no ordinary school. There was no evidence of cookie cutter education, no kids staring blankly at a textbook or computer screen. They were engaged in a multitude of activities, all revolving around the topic of study. An average national percentile rank of 95. Students perform a minimum of one level above their grade level. A truly cutting-edge school where theory becomes practice as the child’s needs and optimal learning environment is the number one goal. We understand the importance of communicating and working as a team toward a common goal of providing an individualized and meaningful environment that builds a foundation for lifelong learning.